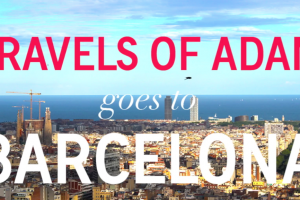 A short collection of some of the coolest things to do in Barcelona that I’ve discovered on my recent trips to the Catalan city. Why is Montsec (in Catalonia) such a spectacular place for stargazing in Spain? And what makes this astronomy park & museum so interesting? Read on! Going on my first Segway tour in Tarragona, Catalonia—not as lame as you’d think! Have you ever ridden a Segway before? My relationship with the super-dorky transportation device has been an odd one. Barcelona, Potsdam and Brighton are all home to some important and extensive Orientalism & Chinoiserie architecture around Europe. Photos from a vulture feeding in Tremp, Catalonia (Catalunya) with Photo Logistics—a nature photography company that specializes in European nature photography. About the Camp Nou Experience museum which provides a tour of Barcelona’s football stadium and history of the FC Barcelona football club.